We have a great Bank Holiday gift for you on the 8th of April, Don’t miss out! UK, April, 5th 2012 – We at GIGABYTE UK are delighted to announce our special Easter holiday offer in line with the brand new launch of Intel 7 series motherboards. Gigabyte UK are bundling the high end Antec H₂O 620 water cooler with our brand new Z77X-UD5H motherboards. Aria, Ebuyer, Novatech, Overclockers UK and Scan. The first 30 people to order with each of our 5 official launch partners will be shipped the high end water cooler with their brand new board. The GIGABYTE Z77X-UD5H motherboard combines a host of new and exciting technologies with the latest Intel Z77 Express Chipset, creating a unique range of motherboard designs that harness the outstanding performance of the new 3rd generation Intel® Core™ processors. The motherboard is equipped with special onboard features that assist DIY builders and overclockers in getting the absolute maximum from their systems: Onboard Voltage Read Points, OC-PEG for more stable PCIe power, Onboard BIOS Switcher to mention just some of them. With an exclusive 'Digital' VRM design, GIGABYTE 3D Power and GIGABYTE 3D BIOS (Dual UEFI), GIGABYTE Z77X-UD5H motherboard ensures exceptional power delivery and absolute control, with additional features that ensure an unrivalled experience on your next PC build. 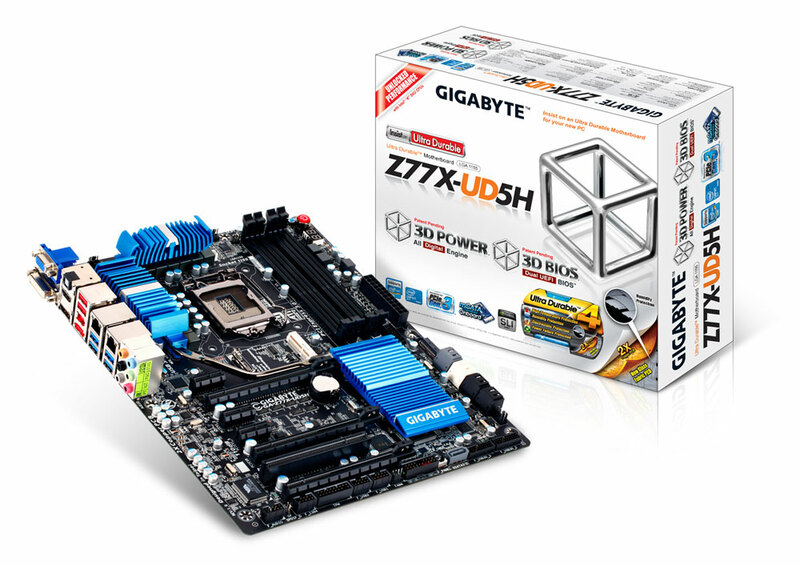 To learn more about the GA-Z77X-UD5H motherboard please check GIGABYTE website and about all Z77 chipset based motherboards please visit this microsite. 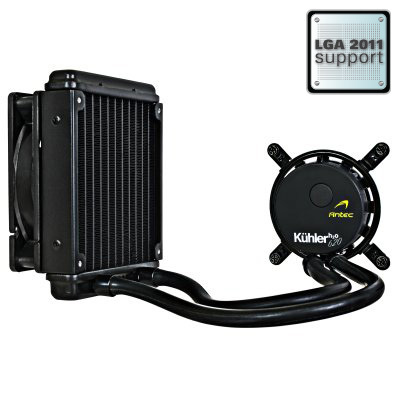 The Antec KÜHLER H₂O 620 delivers high-performance liquid cooling for your CPU in a quick, easy-to-install package. Unlike traditional liquid cooling systems, this self-contained unit comes prefilled and requires no maintenance. The voltage-controlled 120 mm fan and 3rd generation copper coldplate ensure efficient cooling, while the estimated 50,000 hour pump lifetime means this cooler is even likely to outlast the system it cools. Lastly, easy-bend flexible tubing allows the Antec H₂O 620 to be installed in nearly any orientation. Take your PC's Quiet Computing™ to the next level with liquid cooling performance. For more details please check product description and its flyer at Antec website. Re: We have a great Bank Holiday gift for you on the 8th of April, Don’t miss out!